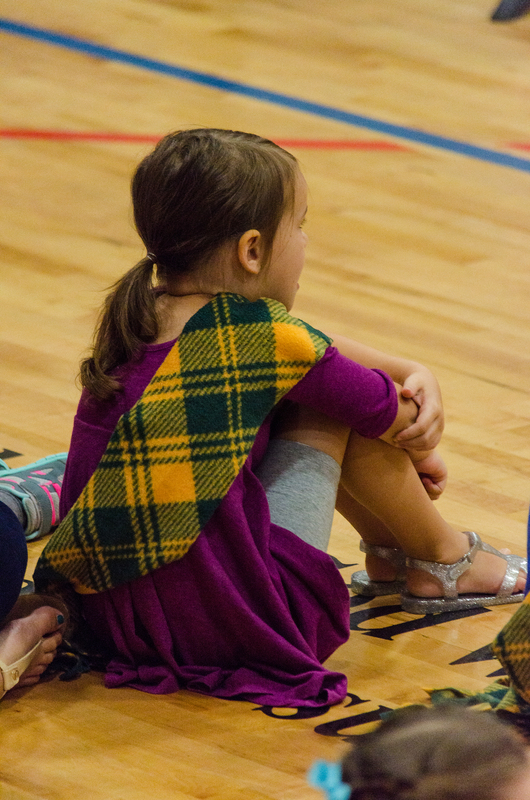 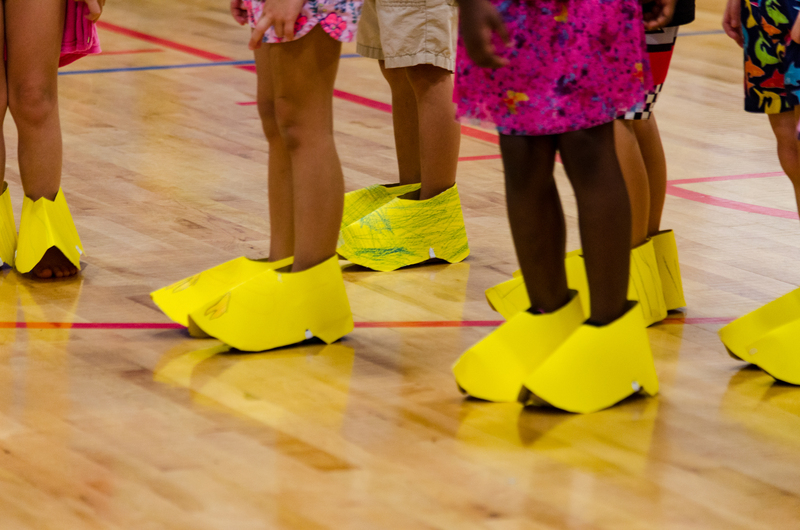 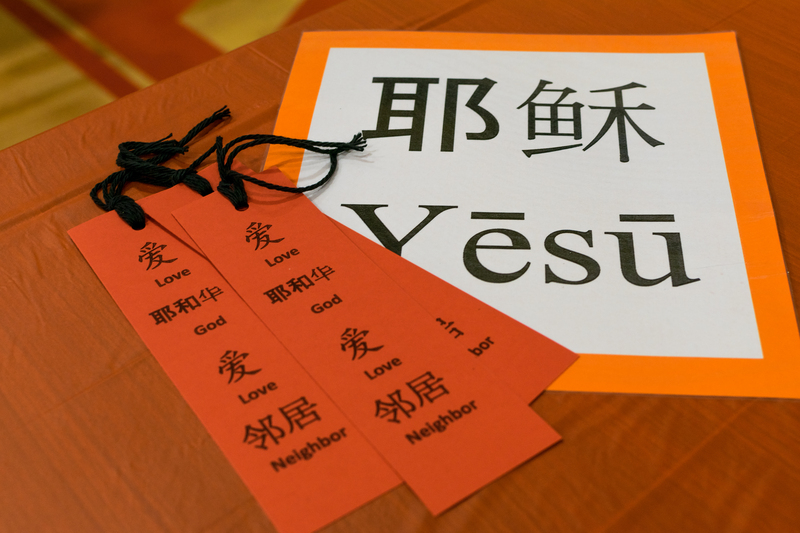 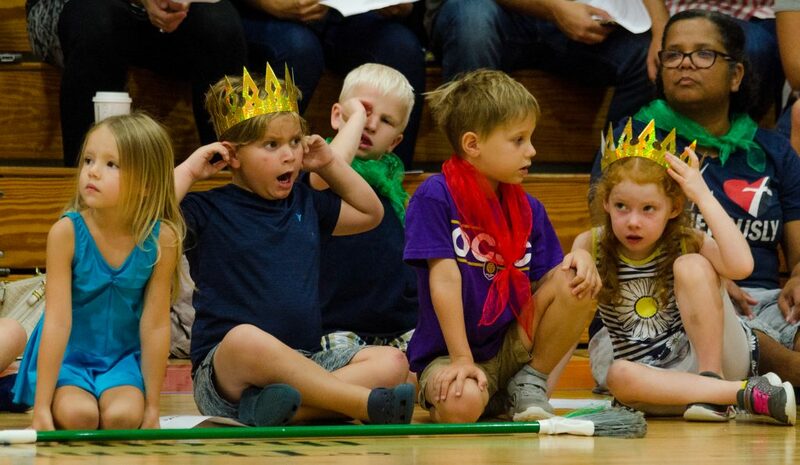 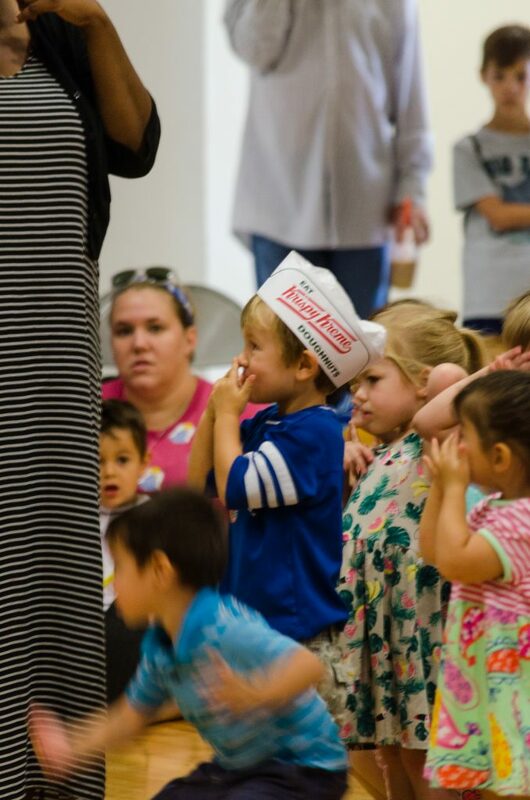 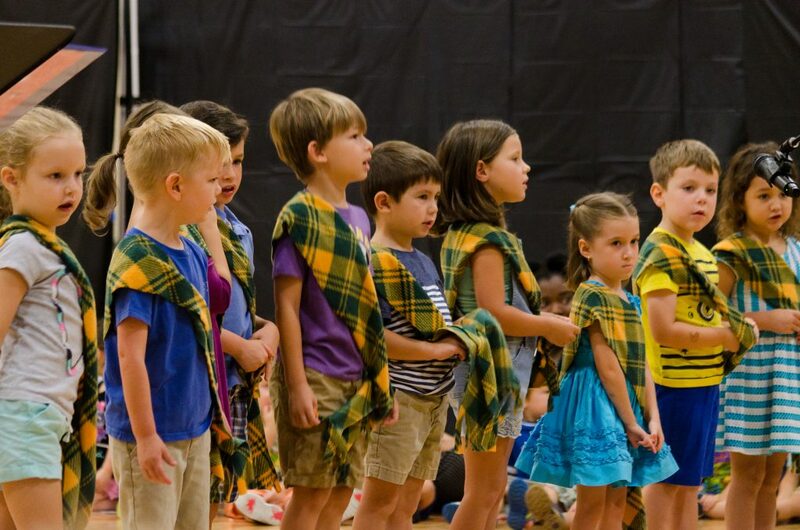 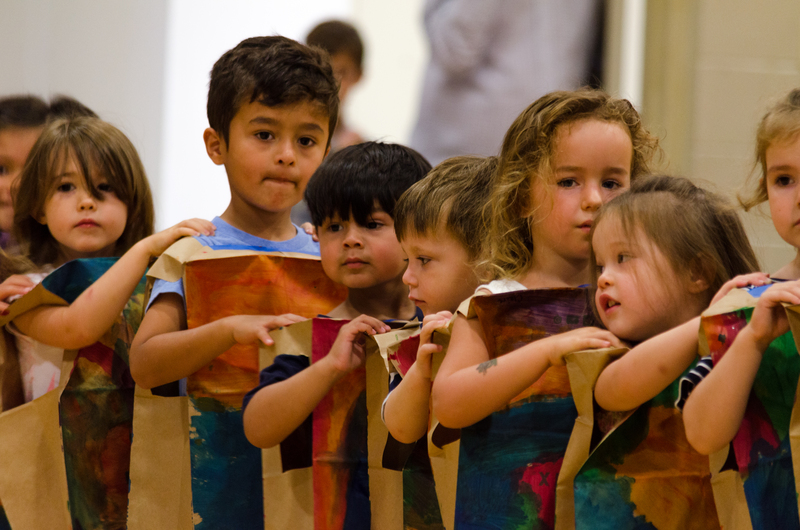 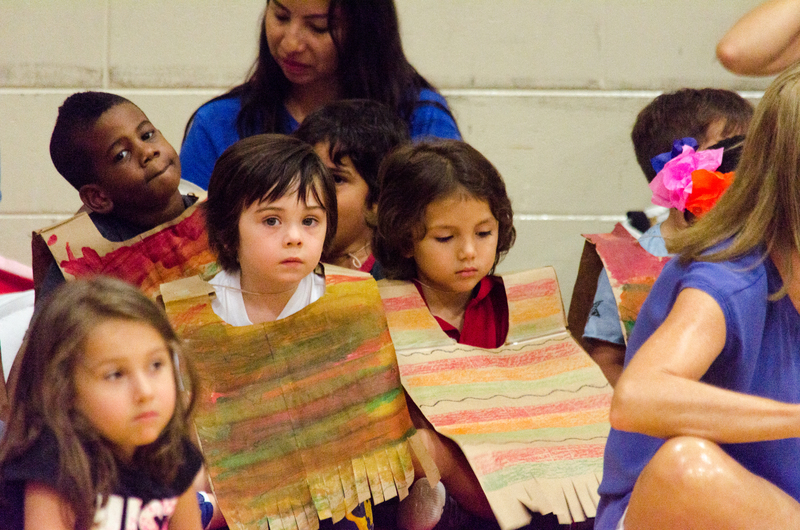 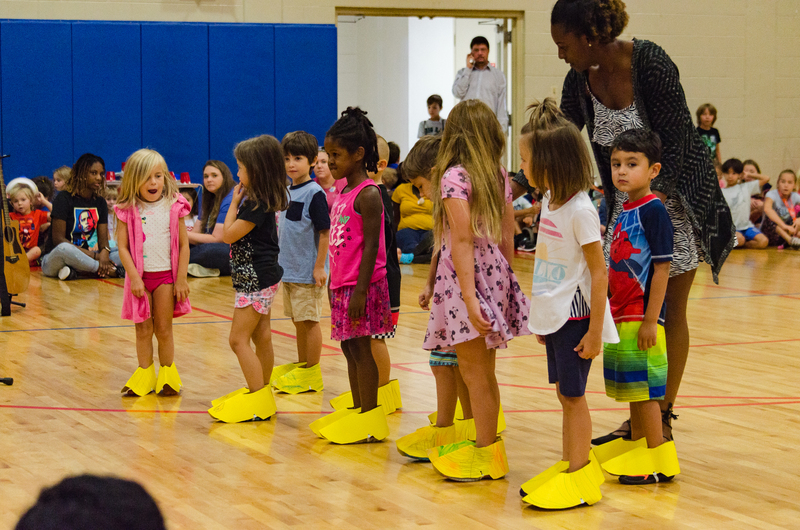 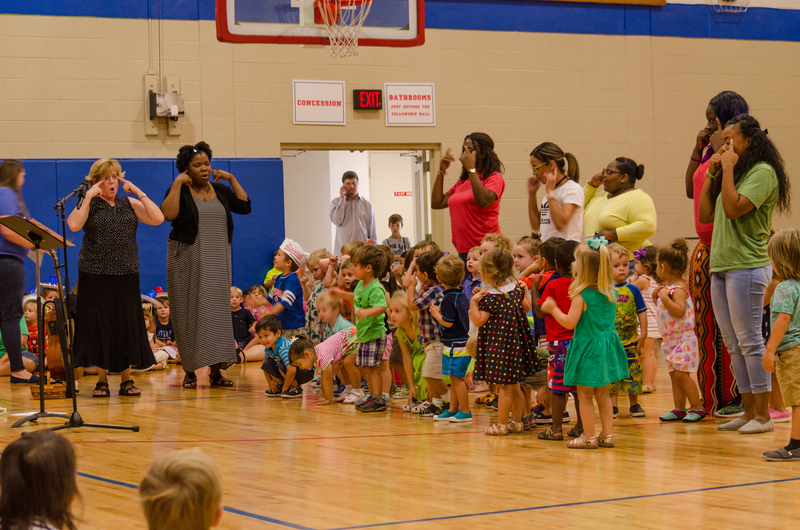 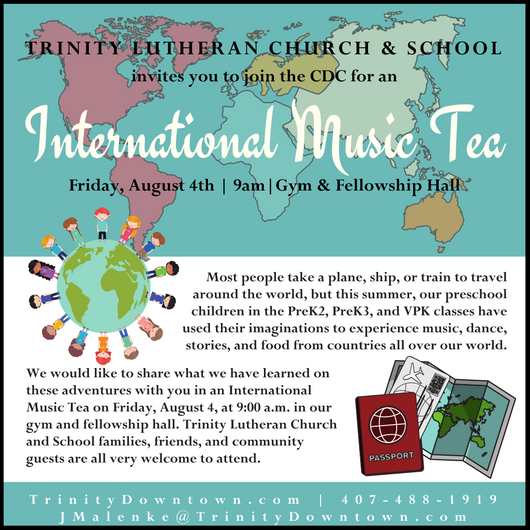 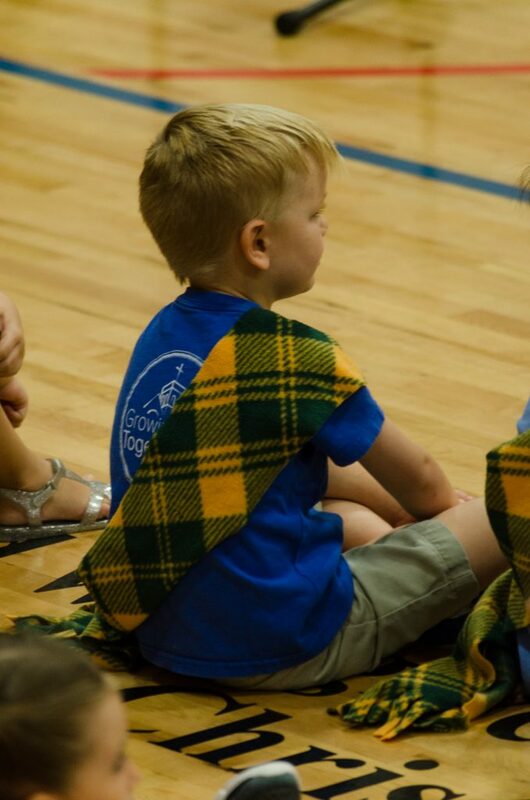 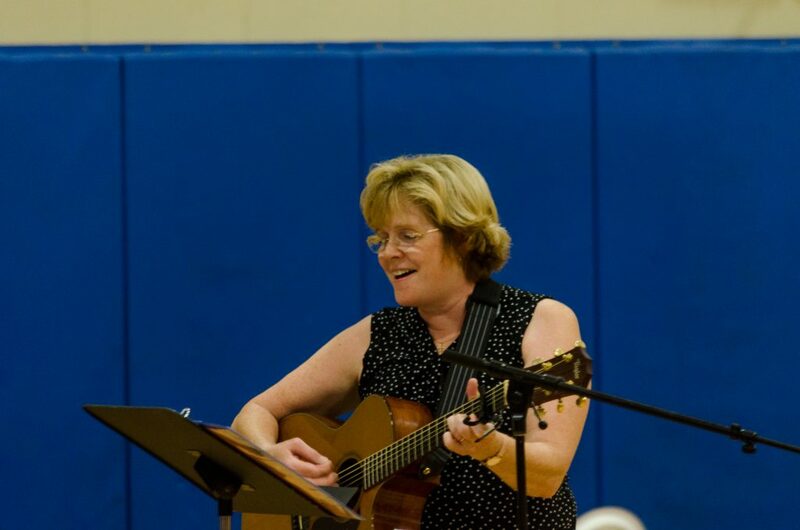 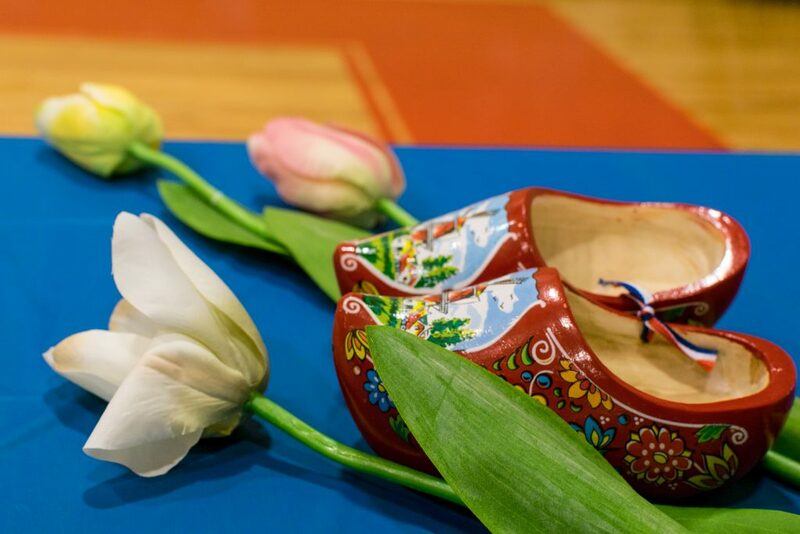 This summer, the two to four year old children in Trinity Lutheran School’s CDC took a musical “journey” around the world experiencing songs, books, dances, and snacks from seven different countries: USA (Hawaii), Germany, Holland, China, Mexico, Scotland, and Italy. 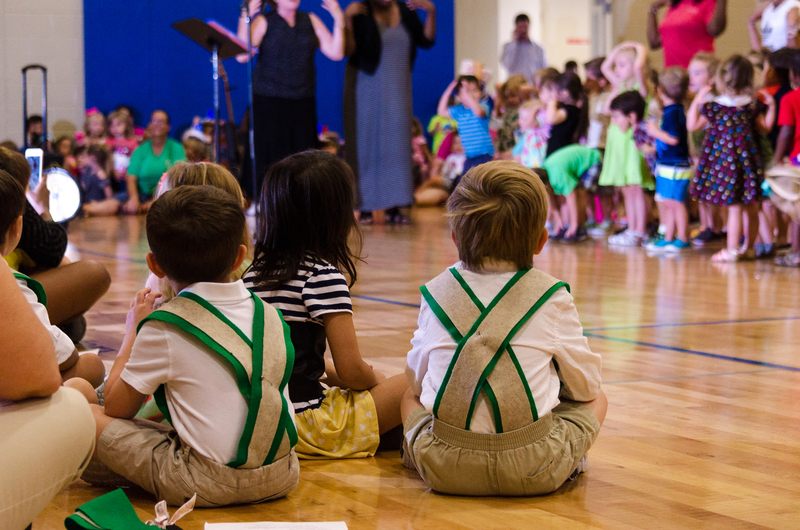 On Friday, August 4th, parents and guests gathered together in our school gym for an International Music Tea where all 200 children joined in to share their renditions of a dragon dance from China, clogging from Holland (complete with paper wooden shoes), lederhosen clad pairs dancing a Hansel and Gretel opera highlight, and various songs and stories from the four other countries studied. 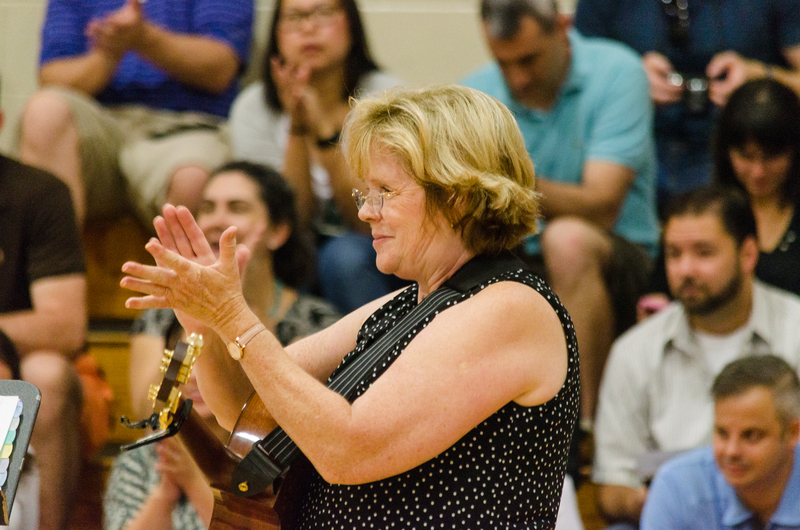 After the musical performances, parents. 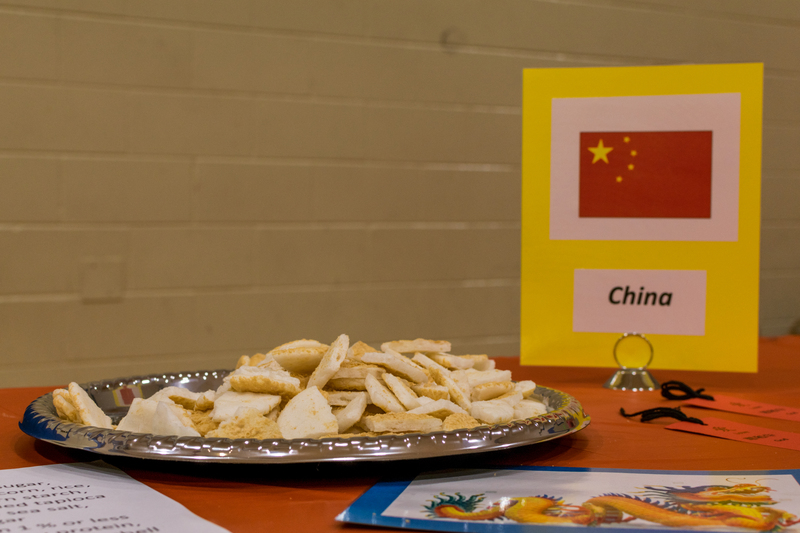 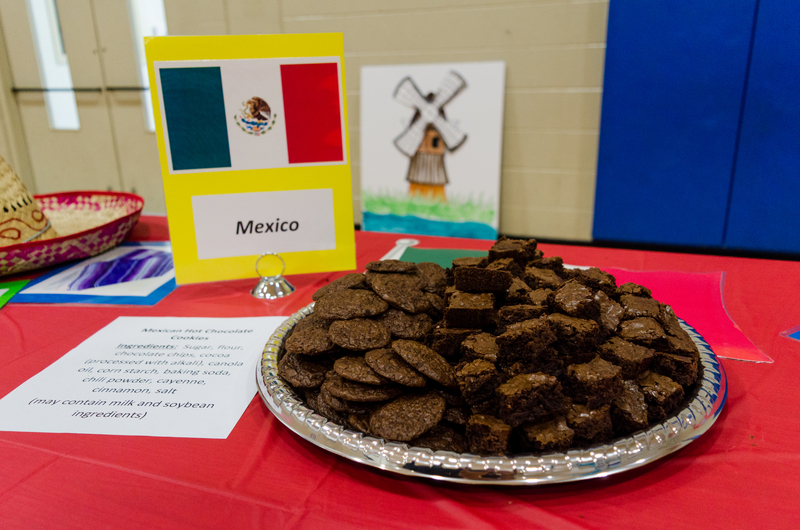 guests, and children were invited to visit tables laden with cookies and snacks to sample from each country studied and cold iced tea to sip. 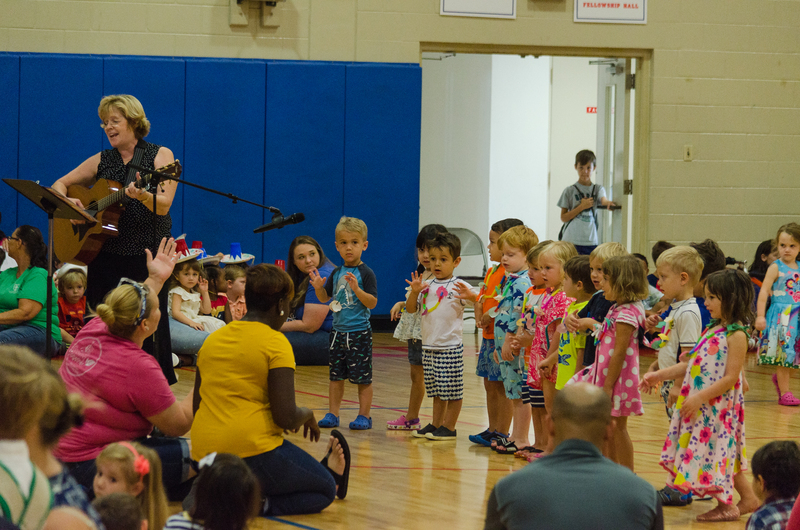 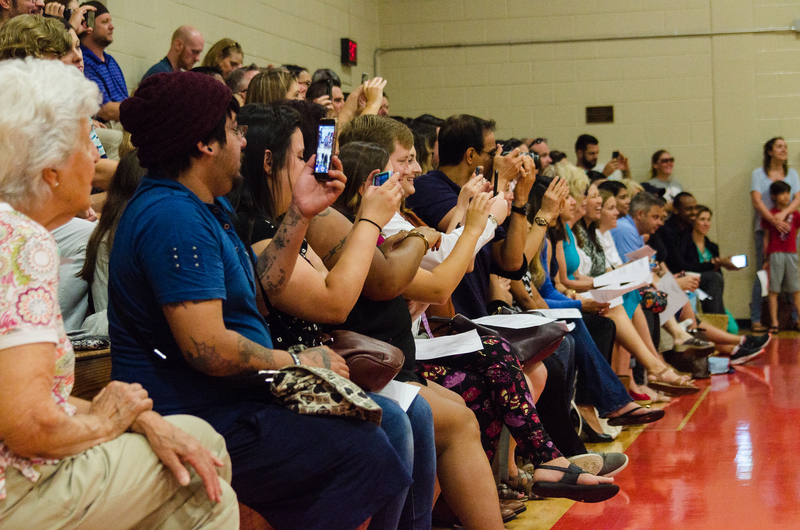 The children’s joy in making music and the parents warm response made this a delightful event for all who attended.